Are you aware of that hubbub, that tempest in a kosher for Passover teapot over Senator Rand Paul’s (R-KY) U.S. presidential campaign website? The web designers behind Rand Paul’s campaign website made several special icons for his supporters. One was for “Italian American for Rand”, and there were others for Christian for Rand, Farmer for Rand, Doctor for Rand, Catholic for Rand, Fisherman for Rand, and more. There was none for ABD for Rand (All But Dissertation), or Muslim for Rand. 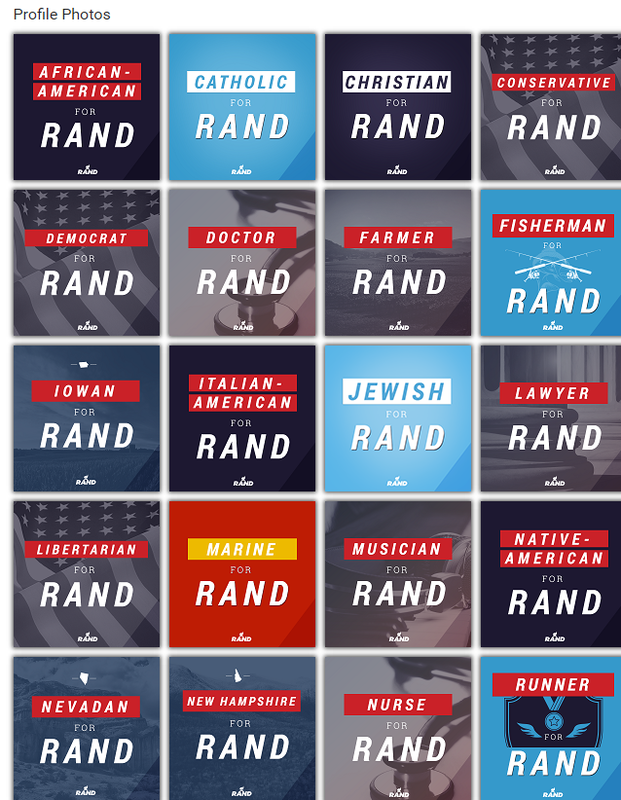 For half a day, there was one for “Jew for Rand.” But some people and pundits took offense. Should it be Jewish American for Rand, instead of just Jew? It was changed to Jewish American for Rand. I am here to say that that “Jew for Rand” was my Aunt Selma in Louisville Kentucky. Problem solved. And people are always calling her a Jew, especially at the annual spiritual directors conference at The Galt House Hotel. Aunt Selma would show her support, but she doesn’t have a computer. Next Story → Tak Boleh Tahan. What if Singapore Cheryl was Jewish?